Bergstein Abogados was established by Nahum Bergstein in 1957 and is currently one of the most prominent law firms in Uruguay, with a long-standing tradition for sound legal counsel and a deep respect for the rule of law. A law firm entering into the twenty-first century has to be modern, creative and efficient. To meet that challenge, we place emphasis in quality rather than quantity. We believe that we are large enough to provide our clients with sophisticated legal advice, yet flexible enough to focus personal attention on each client’s specific needs. Our client base is diversified, including national and multinational clients alike, engaged in a wide array of businesses, such as banking, credit cards, financial products, computers and printers, telecommunications, pharmaceuticals, water treatment, electronic appliances and insurance. Bergstein Abogados is active in the most important areas of the law. A summary of our practice areas follows next. The firm routinely advises clients on virtually all aspects of the law affecting corporations, partnerships, joint ventures, and not for profit entities: this includes mergers and acquisitions, spin-offs, incorporation of companies under all forms of legal structures, capital increases and capital reduction procedures, negotiation stock purchase agreements, joint ventures and shareholders agreements, and the filing and maintenance of necessary government licenses and certificates. On a day-to-day basis the firm reviews all types of commercial agreements, including distributorship, agency and franchising agreements. The firm has a recognized expertise in all matters regarding termination and non-renewal of any of such business relationships. The firm has conducted due diligence work in virtually the entire spectrum of industries. Bergstein offers a wide range of services in banking and financial matters. Our highly qualified team of attorneys offers all of the services required by a commercial relationships established with banks and financial companies, both locally and internationally. We provide legal advice on an ongoing basis and update our clients keeping them aware of any changes in Uruguay's banking regulations. Our lawyers are well-known for their ability to structure and close deals, especially those that involve debt restructuring and the issuance of securities. We assist clients during all transaction phases: from identifying a suitable legal structure—with special attention to the corporate, tax and financial aspects involved—to negotiating, drafting and revising all the documents required by the deal, including all types of security documents. Bergstein has assisted foreign lenders in the entire lending process, including term-sheet drafting, due diligence procedures, loan agreements and security documents preparation. The firm participated (on behalf of the foreign creditors) in the first project finance in the mining industry in Uruguay. We advise on the structuring of public offerings in the Uruguayan market, on the regulatory developments impacting upon the banking and financial sectors, including banking secrecy protection, anti-money laundering rules, consumer protection regulations and exchange of tax information requirements. The firm is experienced in the drafting of anti-money laundering internal manuals of operations and in the training of sales officers to comply with Central Bank certification requirements. Bergstein has represented several financial companies in their license application procedures with the Central Bank of Uruguay, including representative offices of foreign banks, financial advisors, securities intermediaries and offshore banks. The firm has a long standing experience in all regulatory aspects involving private placement of financial products in Uruguay. Founding Partner Nahum Bergstein played a key role in the draft and approval of existing securities legislation. Our tax department provides counseling on direct and indirect taxes, including corporate tax planning and structuring of transactions. We also offer tax litigation services both at the administrative and judicial levels. Bergstein Abogados is frequently called upon to advise on the tax implications of foreign investment in Uruguay and the tax consequences of corporate restructuring, mergers and acquisitions. Several of our clients operate in Uruguay’s free zones, and therefore our services are regularly required to draft and negotiate free zone user agreements, to file these agreements with the Free Zones Bureau, to counsel about the scope of authorized transactions in the zones and their tax consequences, and, in general, to advise about legal structures to minimize our client’s tax liabilities. The Firm is also active in the organization and management of Uruguayan offshore companies -- usually known as "SAFIs" or "sociedades anónimas financieras de inversión" --, which are widely used as an investment vehicle by business interests operating in Brazil and Argentina. The litigation department is the oldest of the Firm and probably the one to which Bergstein Abogados initially owes its reputation. Not surprisingly, the most important clients in our litigation practice are local law firms who seek our assistance in their actions before courts. Our litigation attorneys handle all types of civil actions, including enforcement of foreign judgments and arbitral awards, commercial disputes, torts, collections of receivables, product liability, insurance claims, intellectual property matters and unfair competition. To meet all of our clients’ needs, we also assist on criminal matters, particularly related to white collar crimes. In view of the special relevance acquired by labor laws in Uruguay, we provide employers with comprehensive assistance as to labor relations, negotiations with unions, employees’ indemnities, and labor disputes. The Firm has participated in a number of arbitration proceedings. 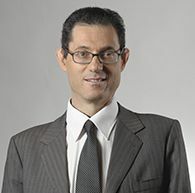 Nahum Bergstein is a member of the Panel of Arbitration of the Mercosur countries. Bergstein assists companies with employment-related litigation and guides them on the correct application of labor and employment legislation as well as on individual and collective labor rights. Legal advice includes day-to-day counseling as regards all aspects of employment relationships, including salaries council (“consejos de salarios”), vacation payments, thirteenth salary, over time, and severance payment calculation. Our employment lawyers also advise clients on structuring and managing their work benefits, stock options and executive compensation plans and assist them in related areas, such as tax and social security. The firm is experienced in advising foreign companies as to the local tax and social security implications of the stock options plans granted by the parent companies to employees of the local subsidiaries. For clients seeking to bring workers into Uruguay, our firm advises clients on what is needed for compliance with employment and immigration laws. In this connection, we advise employers, executives, managers and professionals on all subjects related to expatriation of employees (at executive and lower levels), including obtaining visas, employment certificates, changes of status, naturalization and other specific rules arising from international trade agreements and protocols. The practice includes the drafting of Codes of Conduct; the firm is frequently called upon to advice local and foreign companies about Uruguay’s anti-corruption rules. Our antitrust and competition lawyers fully understand today’s complex competition issues, as well as the increasingly complex relationships among corporations in a global economy. The firm’s long-standing involvement in the credit card industry -- including the advice to the “point of sales” infrastructure, has provided the firm with a leading expertise in competition matters. Our lawyers have represented major global corporations and advised leading Uruguayan economic players from several industries (energy, mining, oil and gas, infrastructure, real estate, chemical and private equity funds). We have substantial experience working with the antitrust and competition enforcement authorities in Uruguay and our practitioners are leaders in analyzing and applying antitrust law principles to numerous business practices in a wide variety of industries. Moreover, Bergstein has been active in a number of high profile cases involving mergers, cartels and unilateral practices, obtaining very positive results from its clients with an innovative and strategic approach. 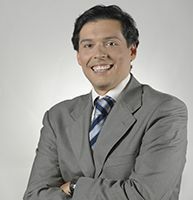 Antitrust cases are dealt by the Regulation and Competition Law department of the firm, due to the close relationship between competition and regulatory issues in Uruguay. Bergstein also has a full blown litigation department which is qualified to take any competition matter to courts, whenever it becomes necessary. Bergstein provides legal assistance in all immigration matters. The immigration practice includes advice to both individuals and foreign companies doing business in Uruguay looking to relocate foreign personnel to work in the country. Our attorneys are experienced in handling and processing all types of visas, in accordance with the Immigration Act of Uruguay. We also advise on obtaining Uruguayan naturalization or citizenship, identification card, and any other documents necessary to reside and/or work in the country. In conjunction with the Labor Department of the firm, we provide assistance in obtaining work permits. As of this day, the firm handles the immigration application procedures for several of the most notable foreign investment projects coming into Uruguay. Bergstein’s telecommunications practice covers all of the areas of telecommunications laws in Uruguay, including: legal assistance in competitive proceedings for the award of communications frequencies, regulatory advice, consumer protection actions, unfair competition and antitrust representation, misleading publicity, and legal advice as regards the scope of the national provider exclusivity. Our lawyers have extensive experience in the area of technology, internet and media, and monitor closely the trends of the industry, offering our clients alternative and innovative solutions and market insight. Bergstein is one of the first Uruguayan law firms to initiate an environmental practice. The practice benefits from the experience of its Founding Partner, Mr. Nahum Bergstein, who served as Chairman of Uruguay’s Environmental Agency. Bergstein environmental lawyers provide a full range of services to domestic and international corporations, such as: dispute resolution (including judicial and administrative litigation), compliance, consulting on environmental issues, negotiating with public entities and holders of interests and rights, environmental permitting, analysis of environmental studies, environmental audits and assessment of potential environmental liabilities (including civil, administrative and criminal). In the realm of commercial transactions, our team works on the environmental aspects of a wide range of matters, including mergers and acquisitions, purchase, sale, financing and leasing of assets and real estate properties. We represent clients from a variety of industries and sectors, including oil and gas, power (generation and transmission), mining, steel, paper and pulp, chemical, transportation (road transport, rail transport, pipes, ports, and terminals), agribusiness, forest exploration and real estate, pursuing multiple environmental solutions. Real estate is one of the major practice areas of the firm. The practice area was established in 1972. The practice has followed the trends of the real estate sector in Uruguay, and has remained active since its inception. Initially developed with the growth of Punta del Este and thereafter Colonia, in more recent times the practice group has expanded its practice to include rural real estate transactions and infrastructure projects with substantial real estate components. The practice encompasses acquisitions and dispositions; construction contracts; administration of construction agreements under the Outsourcing Acts; filing of real estate projects under the benefits of the Investment Promotion regime; condominiums and conversions; development, planning and land use; hotels and resort; joint-venture, partnerships and REITs; real estate finance, restructuring and workouts; retail; filings of permits and approvals with City Hall bodies; risk management in the construction industry (work accidents management in the construction industry). The team is comprised by a group of lawyers, notaire publiques (“Escribanos Públicos”) and accountants, culturally attuned to the firm’s clients needs and business environment. The firm is especially active in the growing agri-business and real estate sectors, having conducted substantial work in land acquisition and farm reorganization. Because of the significant presence of the state in Uruguay’s economy, we are constantly called upon to represent our clients before the Government, with particular emphasis on proceedings before the Central Bank of Uruguay, the Superintendence of Insurance and Reinsurance, the Internal Comptroller of the Nation ("Auditoría Interna de la Nación"), and the National Communications Commission. Those proceedings include representation in public bids and government procurement procedures, applications for licenses in the telecommunications sector excluded from the scope of ANTEL (the state-owned telecommunications company) monopoly, and filings on behalf of reinsurance companies with the Registry carried by the Superintendence of Insurance and Reinsurance. Although Uruguay’s privatization pace is gradual -- only a few privatizations have taken place thus far --, the Firm has been active in some of the most important privatization processes, including telecommunications, electricity supply and gas distribution. In addition to the areas described above, Bergstein Abogados provides legal assistance in a variety of matters ordinarily required by companies doing business in Uruguay, including immigration and residence proceedings, real estate transactions, mining, family law, and air and space law. The Firm has developed an expertise in areas of the law under rapid growth in Uruguay, such as environmental protection, hotel projects, and all legal issues connected with the Mercosur integration process. For a number of American and European clients, we serve as permanent outside counsel for Latin America, for which purpose we rely on an extended network of correspondents in almost all of Central and South America. The talent, dedication and experience of our attorneys are our most important asset. Our professionals are active in academia, lecturing and publishing extensively, both in Uruguay and abroad. Many of them have completed professional and academic experiences out of the country, thus being adequately equipped to understand other cultures and foreign business patterns and legal systems. Legal work is generally conducted in Spanish, English and Portuguese, while the Firm is prepared to correspond in French, Hebrew and other languages. Our attorneys and paralegals are supported by complex computer systems, as we continually invest in upgrading our software, hardware and communications network. The offices of Bergstein Abogados are located on a fifth floor of one of the most distinguished "art-deco" buildings of Uruguay, in the heart of the business and financial district of Montevideo, and in front of the Supreme Court of Justice. Although our premises are located in Montevideo, we handle matters all over the country, by relying upon a qualified network of correspondents in all of Uruguay’s major cities. Uruguay’s legal system belongs to the civil law tradition. Therefore, "notaire publiques" (public notaries) play a decisive role in professional practice, as their involvement is strictly required for the execution of real estate transfers, real estate mortgages, powers of attorney and a broad spectrum of certificates. To meet such a need, Bergstein Abogados has built over the years a reputable and experienced notarial department. Last, our structure includes an accounting department, which has become a necessary ingredient of corporate practice in Uruguay.